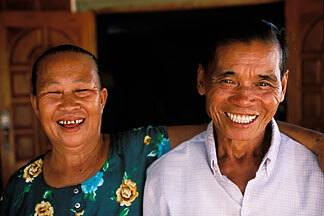 The Jhai Foundation, formerly known as Project Hearts and Minds, has operated in Laos for over ten years. Founded by a former Vietnam veteran and peace activist, Lee Thorn, and Laotian refugee group organizater, Bounthanh Phommasathit, Jhai Foundation is dedicated to grass-roots reconciliation betweeen the American and Laotian people, through village level development projects. This project covered Jhai Foundation projects in hospitals, villages and schools in Vientiane province, as well as Laotian cultural images for use in fundraising.